In our April issue we began a three-part series about preparing to sail offshore. We start with some basic differences between planning for a coastal trip and planning for an ocean voyage. Then we’ll dig into getting the boat and crew ready to go. 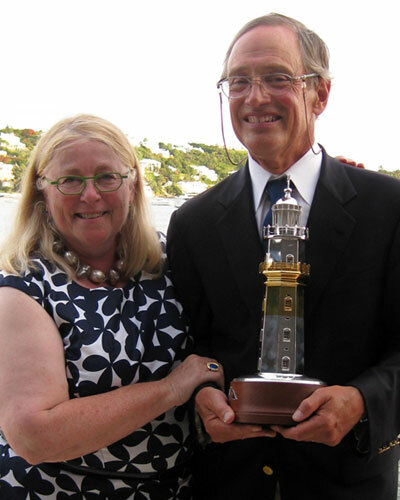 For some expert advice we consulted offshore racing veterans Mike and Connie Cone, who have campaigned their Hinckley Bermuda 40 Actaea out of the Sassafras River since the early 1990s. Over the years they have developed tried and true systems for boat maintenance, crew training, and safety protocols. 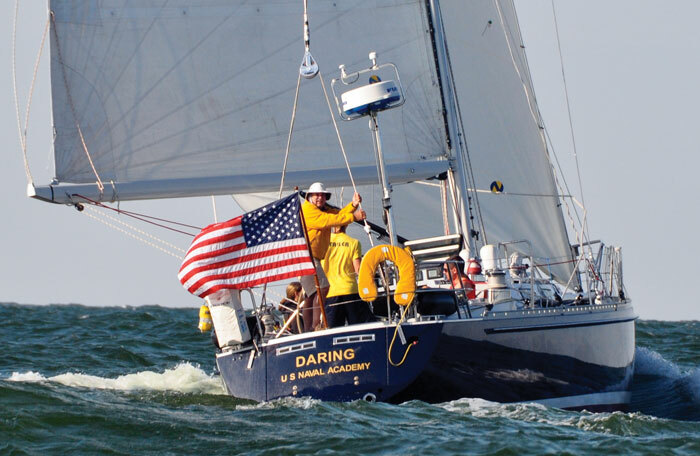 We also consulted sailing coach Mike Hull, who since 2007 has helped train Midshipmen with the U.S. Naval Academy’s Offshore Sail Training Squadron aboard the Academy’s fleet of Navy 44s. 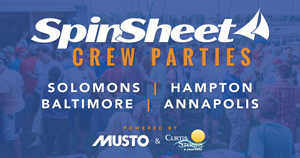 Hull also teaches navigation seminars and multi-day cruising courses at J/World Annapolis. He and his wife Jan sail their Sabre 34 Eagle out of Annapolis’s Back Creek. The jump from coastal cruising to an offshore race or passage brings new opportunities and new challenges. 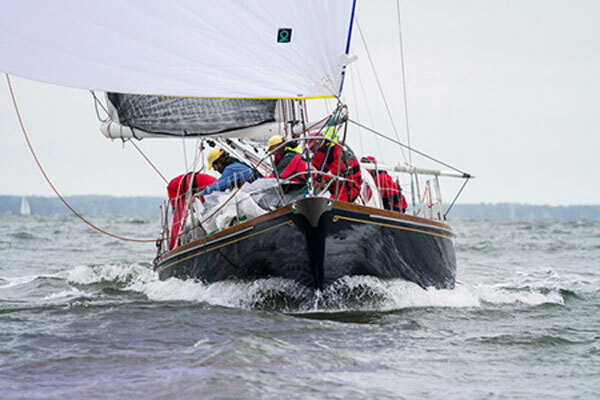 “Whether you’re racing or cruising, all sorts of things that might not be a big concern on the Bay can suddenly become very important when you’re offshore,” says Mike Cone. “Another thing that people often overestimate,” continues Cone, “is the amount of wind offshore. More than 30 knots is not common.” In fact, the Cones and Hull all say that the most frightening sailing conditions they have experienced occurred in the Bay, not too far from shore. “Plan for contingencies,” suggests Hull. “I believe in bringing a full set of charts of everywhere you plan to go and everywhere you might have to go, for example, if someone is sick or the weather gets too bad. So, heading north I would take charts for Cape May and Atlantic City because they both have harbors I might need to go into. Connie adds that it’s important to choose crew who will be team players. “On Actaea, all crew rotate through all the positions every 30 minutes, including helm and foredeck. 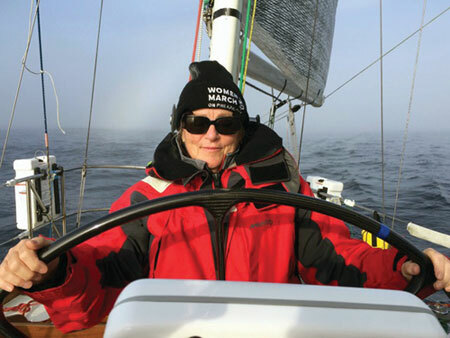 We have found that crew who are new to sailing need to become good seahands before they become good sailors.” Connie reports having had positive experiences with new crewmembers who ask questions, learn terms, pitch in (including washing the dishes), and do not panic when it gets scary. You’ll probably be maintaining communication with a weather service. 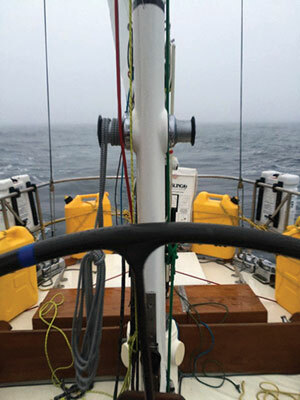 When Actaea is racing, the navigator is responsible for monitoring the weather. When delivering a boat, the Cones retain Commanders’ Weather. Previously Mike followed the weather himself, but he has found that using the service saves him two to three hours a day, freeing up precious time to focus on keeping the boat going fast. “I cook as much as I can ahead and freeze what I can using Dazey Vacuum Seal-A-Meal bags,” says Connie. “But we also bring fresh food, which we prepare aboard. In theory the watch captains trade turns being responsible for meals, but in reality I do much of the cooking,” she says. But just to be clear, Connie is not stuck in the galley; she’s a skilled helmsman and a fully participating crewmember. “Seasickness will happen, so plan for it,” continues Mike. “When some of the crew are sick, the others are working even harder. They must eat to sleep, and they need sleep for the added work, so good food is important.” Mike also points out that caffeine addictions aren’t left onshore, so they must be recognized and fed while underway. Even during heavy chop, Actaea’s crew has engineered creative ways to produce instant hot coffee to satisfy caffeine cravings with a warm cup of Joe. Be sure to read the next chapter of this three-part series. And our final installment in the July 2018 issue.